Nick G. Nicolas, formerly of Philadelphia, passed away peacefully on Saturday January 15, 2017 in Delray Beach Florida. He is survived by his loving wife of 51 years, Dorothea Nicolas (Pavlos) , his beloved sister, Elizabeth Manos and by his many nieces and nephews, all of whom adored him. Nick was born in Sparta, Greece on December 6, 1939. 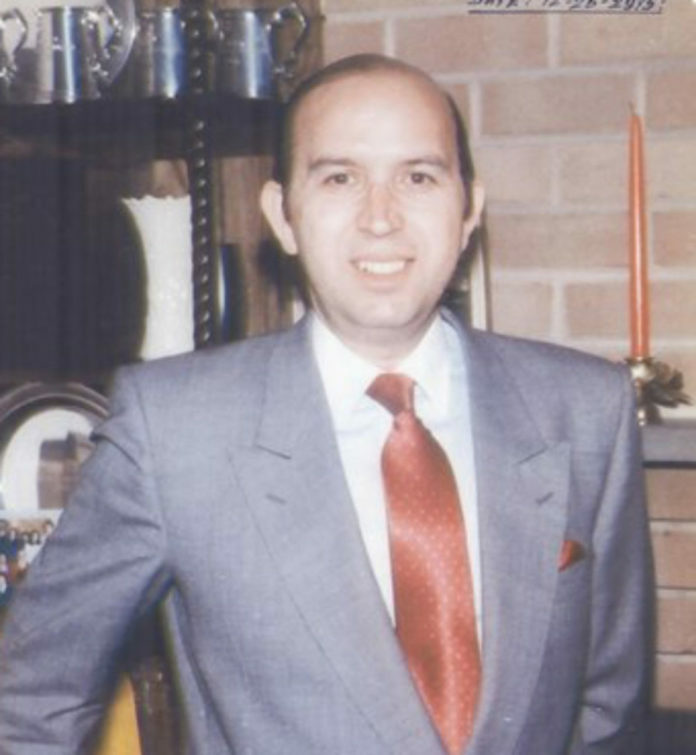 At the age of 13 years old, Nick and his family immigrated to Rio De Janeiro and ultimately San Paolo, Brazil before coming to the United States in 1960. In 1965, Nick married the love of his life, Dorothea, and together they lived in Lafayette Hill PA for 35 years, at which time they retired and moved to South Florida. Nick’s outgoing personality and his knowledge of four languages contributed greatly to his immense success in the competitive field of life insurance and financial planning. In addition to his professional accomplishments, Nick was also very active in the Greek Community in greater Philadelphia, serving in various capacities at the Greek Orthodox Cathedral of St. George, Athenagoras Manor, the Laconian Society, Hercules-Spartan Chapter of AHEPA, and the Philadelphia Federation of American Hellenic Societies. Ultimately, while serving as Vice- President of the Federation, Nick was one of the driving forces that brought the EVZONES to Philadelphia to participate, for the first time ever, in Philadelphia’s annual Greek Independence Day festivities. As president of the Federation the following year, he continued the “new tradition” of bringing the EVZONES from Greece. Always the avid sportsman, Nick filled his retirement with playing billiards, tennis and tavli and even accumulated championship trophies while playing in the Palm Beach County 55 and older league in both tennis and billiards. Nick also continued his passion for photography while in Florida, taking hundreds of pictures of his beautiful surroundings, and had one his photographs printed in the Best of Photography’s annual collection of photographs in 2005. His Funeral took place at St. Mark Greek Orthodox Church in Boca Raton, Florida. He will be missed by many. Αιωνία αυτού η μνήμη. Donations may be made in his memory to the American Cancer Society.